Course Location: This course is also offered as a 40 Hour Online EMT Refresher which is a NREMT/NCCP Compliant (CAPCE F5 Approved) course, valid for recertification as an EMT. Training is completed through the use of Virtual Instructor Led Training. You can also take our 24 hour class in Phoenix & Tucson Arizona, San Antonio, Texas, and San Diego, California. Both the in person and online courses meet NCCP National/Local requirements for the NREMT. We also offer additional CE Hours that are CAPCE approved and meet criteria for Section II of the NREMT's Additional CE Hours Requirement. Learn More about NREMT Recertification Requirements Here. 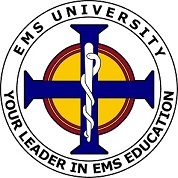 Offered in person and online as a CAPCE Approved F5 Traditional Refresher Course, this 24 Hour NREMT Refresher course for the EMT is Commission on Accreditation for Prehospital Continuing Education (CAPCE) approved and follows the U.S. Department of Transportation (DOT) National Standard Curriculum for Emergency Medical Technician Refresher. Students are trained according to the standards outlined in the course profile link above. Students who successfully pass the course, will be presented with a certificate outlining the applicable topic areas.